Here's another tape from the Daaren Boreham collection. Daaren tells us that he was given this at a show he played somewhere along the way. 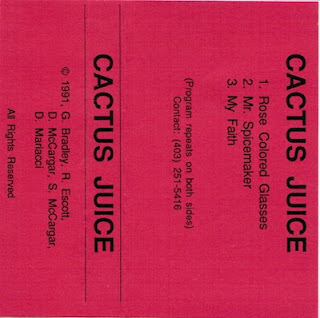 We don't remember Cactus Juice or their fonky, fonky metal soundz. Maybe you do? 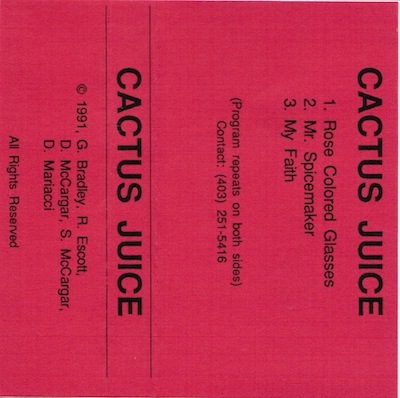 Cactus Juice lived across the street from the big yellow party house on 15th street and 11 ave sw, my bros lived in the yellow house and those Cactus Juicers were a fun bunch. Thanks for htis! Great memories of epic jam sessions in that place.